Atkins Gregory delivers a full range of professional commercial cleaning services to clients across Cambridgeshire. From office blocks to call centres, from warehouses and retail outlets, our team has the experience, expertise and equipment to deliver brilliant cleaning services to all manner of commercial premises. From general commercial contract cleaning to both low- and high-level window cleaning, from facilities management provision to janitorial supplies and waste management and recycling services, few rivals offer such a comprehensive range of cleaning and support services like Atkins Gregory can. We aim to provide a full circle service range to ensure your premises is well maintained. In order to maintain a clean, professional working environment, commercial enterprises need to be able to trust and rely on their cleaning service provider. This is where Atkins Gregory excels: our staff benefit from ongoing training and carry out their work with the latest and most effective equipment, and to the highest of health and safety standards. As one of the larger cleaning services operating in Cambridgeshire, we can deliver real economy-of- scale cost savings to our commercial clients. Our sizeable and dedicated pool of staff mean we always have the operatives available to expand service provision as and when required. The staffing issues sometimes experienced by small in-house teams are also eliminated. At the heart of our service is flexibility: we work hard to ensure our services are delivered in harmony with your daily commercial activities. In pursuit of creating long-term commercial relationships, we strive to demonstrate a ‘can-do’ attitude in every aspect of our service provision. We provide our services to commercial clients across Cambridge, Peterborough, Huntingdon, Thetford, St. Ives and Bury St. Edmunds. Ensure your staff and premises benefit from truly professional cleaning services – contact our team today and tell us about your requirements. From office blocks to call centres, from warehouses and retail outlets, our team has the experience, expertise and equipment to deliver brilliant cleaning services to all manner of commercial premises. From general contract cleaning to both low- and high-level window cleaning, from facilities management provision to janitorial supplies and waste management and recycling services, few rivals offer such a comprehensive range of cleaning and support services. In a region known for its educational excellence, at Atkins Gregory we pride ourselves on delivering brilliant cleaning services to schools, colleges and universities of all types and sizes in the area. Chief among our services for educational establishments are contract and window cleaning, facilities management and janitorial supplies services, and waste and recycling management. We are committed to understanding the exact needs of our manufacturing clients – especially important given the sensitive nature of many factory environments. In support of this we ensure our cleaning operatives receive ongoing training, both in the delivery of effective cleaning with appropriate equipment, and in the safe delivery of that cleaning – in full compliance with current health and safety legislation. From laboratory environments to other scientific research facilities, we understand cleaning services on such sites must be delivered with the utmost care and professionalism. To this end our staff are trained on an ongoing basis in various aspects of general and specialist cleaning, and are all CRB-checked. All our work is carried out in full compliance with the latest health and safety legislation – something we know our science and research clients value. From veterinary surgeries to equine hospitals, from horse racing facilities to agricultural equipment, our cleaning teams possess the equipment and training to complete all manner of cleaning tasks. 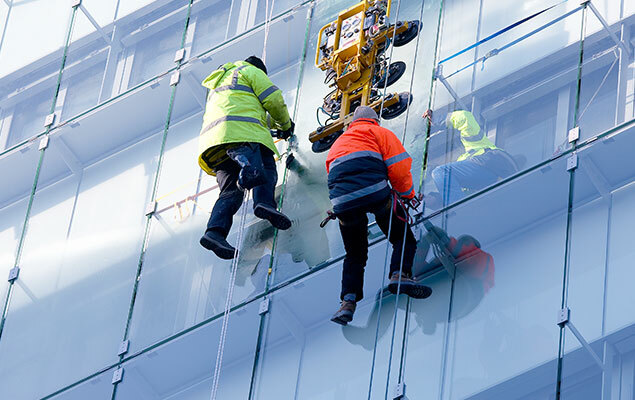 Alongside professional contract and window cleaning, we are able to provide janitorial and facilities management services, and waste management and recycling services. Atkins Gregory's cleaning services are ideal for technology-based operations such as data centres, video games developers, CPU chip design, cyber defence – and many others. 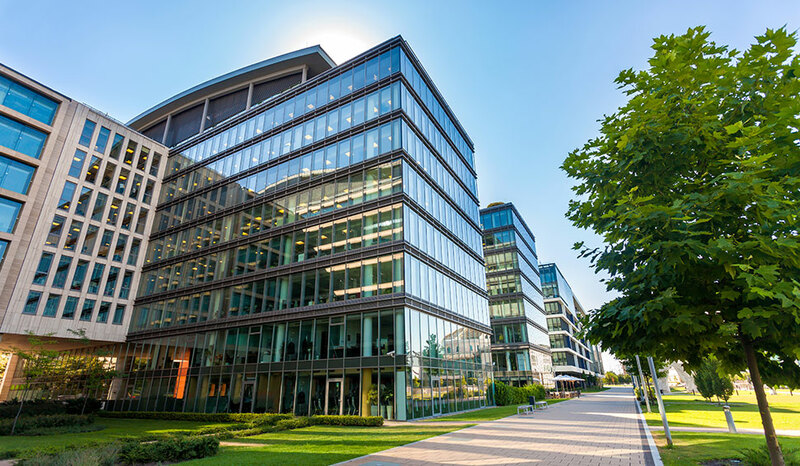 Alongside general contract and window cleaning, we can deliver comprehensive facilities management and janitorial services to tech premises of all sizes. We also provide complete waste management and recycling services. Atkins Gregory's end of tenancy cleaning services can be adapted to fit any precise need and budget. Our cleaning services include standard and deep cleans, depending on your requirements, and if necessary, we can supply specially trained Biohazard cleaning operatives. Whatever condition a property has been left in, we will make sure it is clean, safe, and ready for your new tenants to move in.